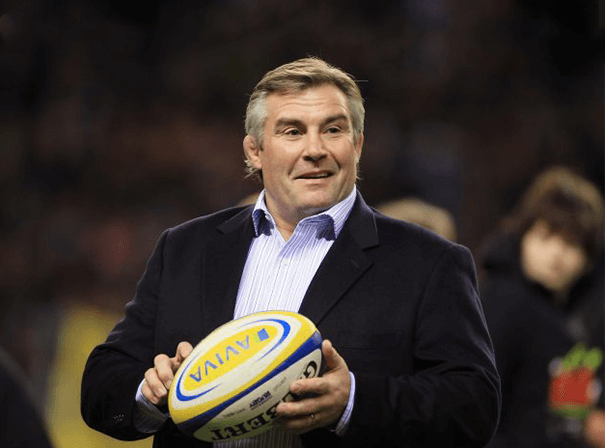 Jason Leonard is a decorated and immediately recognisable former England rugby player. He is now at ease on the after dinner circuit and is an illuminating guest with plenty of tales to tell. In a career spanning two decades, Jason has witnessed first hand the rugby world turned upside down as it changed from amateur to professional sport. He talks about this and more besides when at a range of conferences, charity dinners or when presenting awards. Jason started out playing in the late 80s and turned out for top domestic sides like Barking, Saracens, Harlequins. A robust player who was not afraid to get stuck in, he made his full England debut on 28th July 1990. In his ensuing career, that lasted many years, Jason encountered some of the hardest men in rugby, played in three World Cups and has taken part in no less than three Lions tours to New Zealand, South Africa and most recently, Australia. Known as the Fun Bus, Jason has been awarded an OBE for his services to sport and was one of the finest props of his era. Since retiring from the sport, Leonard has entered into the construction business, has been on TV shows like This Is Your Life and is involved in several charities including Lead Ambassador of the Wooden Spoon Society, a charity for disadvantaged children and young persons that has its roots founded in rugby. To have Jason Leonard appear on your behalf is to have a big hearted, popular sporting figure that instils real awe in people.